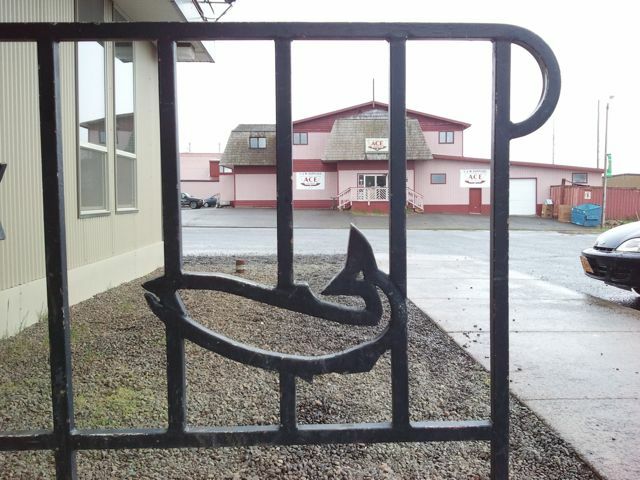 Walking through Dillingham, it’s hard not to notice that salmon are an integral almost holy part of their culture. The symbol is everywhere. Walking through town today I started to take notice. 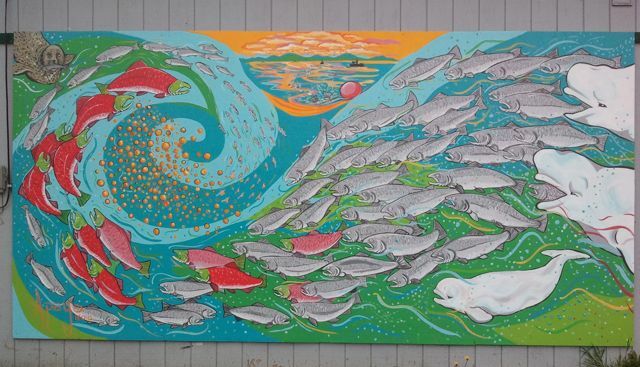 Salmon is everywhere and this is indicative of what an integral- almost holy part that this fish plays in the cultural heritage of the locals. The sad irony is that, up until only a few years ago when the local public radio station broke the story, they were serving farmed salmon in the local high school for lunch. WTF? I’m not sure if it’s an indictment and the disconnect between the government bureaucracy, the failure of school lunches in general, or a cultural oversight but it seems just so absurd that something like this could even happen. 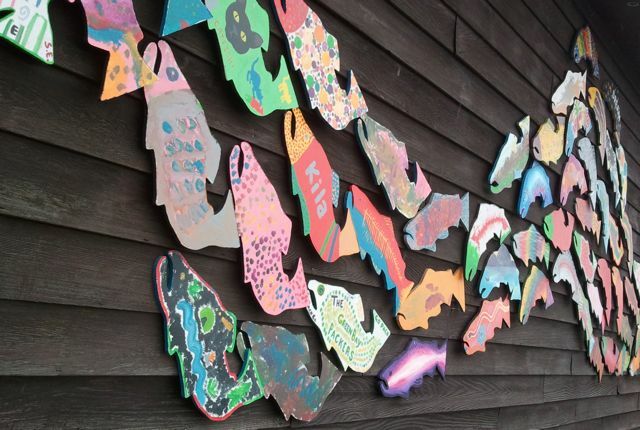 During the fishing season, when quotas are placed on how much we can catch, some fisherman have the option of donating their overages to the school. Seems like a no brainer to me. 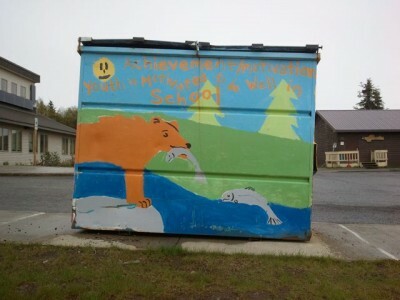 From the fire department to the library to a random dumpster, salmon is everywhere and is the heart of this community. Speaking with a local in the other day, she was adamant about her opposition to the Pebble Mine project. Why? Because to put salmon at risk is to put whole communities at risk. 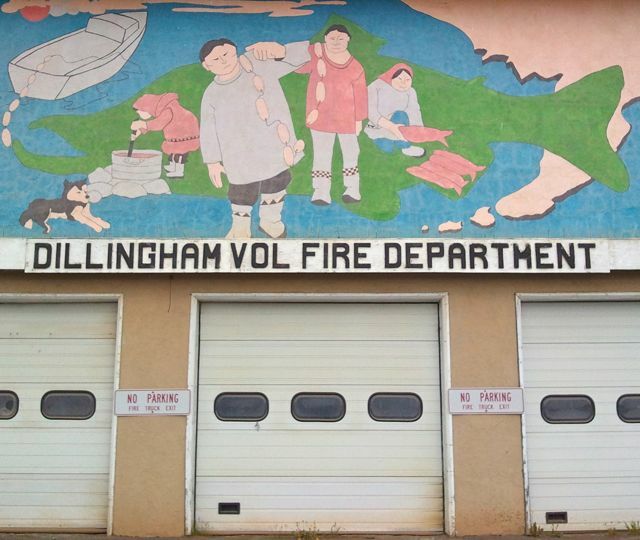 This town here, Dillingham, has a foundation built on salmon. Without salmon, this town would disappear.